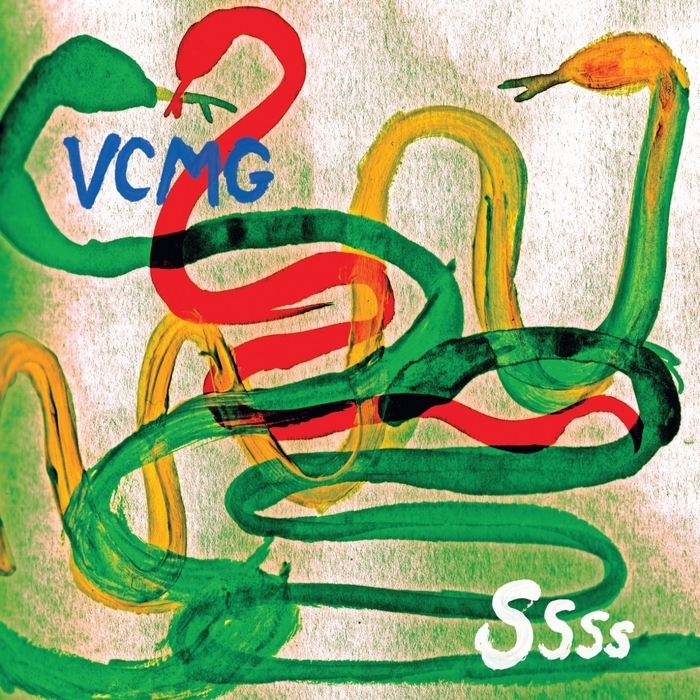 VCMG release one of 2012’s most anticipated musical collaborations with the album “SSSS”, out now through Mute. It marks the long awaited reunion of electronic pioneers Vince Clarke (Erasure/ Yazoo/ Depeche Mode) and Martin L. Gore (Depeche Mode), who have joined forces for the first time in over thirty years to craft a 10-track album which demonstrates their mutual love of electronic music. After initial tentative discussions and a meeting at Short Circuit presents Mute festival in London, where they both performed, these two influential musicians and songwriters worked in a typically unique way. Clarke and Gore worked alone in their respective studios, communicating only via email and exchanging files until the album was ready. The album includes the recent 12” EP1 / Spock, described by The Quietus as “one of the best tracks of 2011”, plus the forthcoming EP 2 / Single Blip. We’re excited to announce the digital release of the entire Fashion Records back catalogue throughout 2012, starting today! Fashion Records are a British musical institution being at the forefront of the UK reggae scene in the eighties & nineties. To accompany this catalogue re-release will be the first volume of a 20 track Significant Hits package. The fact that this catalogue has never been fully available before digitally is already causing excitement in the reggae scene and beyond! There are also some exciting remix packages to follow. Fashion Records is a UK based record label producing and publishing reggae music. Founded in summer 1980, Fashion Records is one of the most successful UK-based reggae labels, and one of only a very few British reggae labels to release records that were produced in their own recording studio. The label was the brainchild of John MacGillivray and Chris Lane, two reggae devotees, and was essentially a spin-off from MacGillivray’s Dub Vendor record store. Groundation leaves no one indifferent. Their pure roots reggae mixed with sumptuous jazzy colours led to creation of a unique and powerful sound that can be defined as “progressive reggae.” In the course of their albums, these Californian virtuosos have succeeded to impose themselves as one the most talented international reggae bands. Considered the best group in the current reggae scene, Groundation has come back with their seventh album. Without guest artists, the group focuses on stretching their incredible virtuosity through 10 songs played in their characteristic “progressive reggae” and mixing a powerful jazzy-reggae vibe with hypnotic funk-based rhythms. The album goes from earthy percussion based tracks to complex impressionistic Dub compositions, accompanied by Harrison Stafford’s fiery, militant and conscious lyrics. Out today, “Interference” is the single from Breton’s forthcoming debut album “Other People’s Problems”. Formed in 2010, the four-piece based in South East London are primarily film-makers with cutting-edge video and sound design work under their belts, delivering innovative remixes for the likes of Local Natives, Tricky, Tom Vek and Temper Trap, as well as being award winners and regular fixtures at film festivals for their independent short films. The band has also recently toured with Tom Vek and Ghostpoet on their UK tours. “Interference” has already received support from BBC Radio 1, with DJs including Zane Lowe, Huw Stephens and Annie Mac playing it on their show. Watch out for their debut album, which will be released through Fat Cat Records on 26th March. 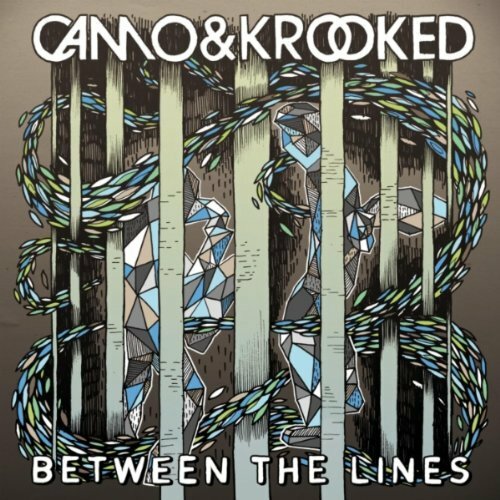 Camo & Krooked return to the fore with “Between The Lines”; an immense nineteen remix album which takes their award-winning debut on Hospital “Cross The Line” to a whole new level fresh for 2012. Featuring remixes from artists including High Maintenance, BCee, Metrik, Mind Vortex, Sub Zero and Funtcase, as well as some exclusive tracks from Camo & Krooked themselves, the album draws on talent new and old and touches on a range of different sounds and styles for the ultimate remix package. Amongst the selection is the liquid, lilting atmospheric remix of “Afterlife” from BCee, the dark, tech-y twisted take on “Anubis” by InsideInfo and the deeper sounds of Submorphics’ “Change Me”, alongside the gritty, jump up flavour of Sub Zero’s re-work of “Run Riot, the magnificent distortions of Mind Vortex’s remix of “Cryptkeeper” and the exuberant, synth-screeching cacophony of Funtcase’s remix of “Hot Pursuit”. Original material from Camo & Krooked includes tracks “Dusk II Dawn”, “Further Away” and a savvy slower tempo re-work of “In The Future (feat. Jenna G and Futurebound)” which becomes “Lost In The Future”. When your band has a reputation for curating a festival dedicated to showcasing some of the finest new music, you have an unwritten duty to lead by example – and that’s exactly what Laurel Collective, the group behind the In The Woods festival have done with single “They Hate Me”, the first to be taken from their upcoming debut album “Heartbeat Underground”. Without resorting to clichés like “genre-defying” and “fresh new sound”, it’s rather difficult to describe the quintet that is Laurel Collective. “Heartbeat Underground” is an experimental yet totally unpretentious pop album; upbeat percussion is juxtaposed by dark synth, sparse guitar riffs and frenzied sing-a-longs. “They Hate Me” is a terrific example of the band’s ‘collective’ ethic, demonstrating each member’s individual talent, maintaining the power of the group as a whole, whilst showcasing the Collective’s ability to spout blackly comical lyrics with a wild, cacophonous energy behind them. Laurel Collective epitomise intelligent music at its best: a witty, diverse and modern take on the indie genre that has been plagued by the generic and uninventive for far too long. The single is currently on the XFM playlist, and has also received support so far from 405, Artrocker, The Fly, Planet Notion and more ahead of their debut album in late May. Seattle’s own punk-rap-shoegazers, backroom brown hornets, vibrate higher in their magnetic blackness. Champagne Champagne are MCs Pearl Dragon and Sir Thomas Gray, and producer/multi- instrumentalist DJ Gajamagic (AKA Mark Gadjahar, drummer/founding member of defunct Seattle posthardcore institution The Blood Brothers, current backbone to Past Lives and Weekend). Together they “outrap and outparty everyone” (via Seattle Weekly), drink greenrooms dry, and smash packed clubs and sweaty basements alike with their afrofuturist afterparty music- rejecting easy classifications, broke groupies, and bammer weed. “Sky Above Quarley Hill” is alternative 5-piece Echotape’s debut EP. Echotape are from an off the map town in the south of England, and began as a collective of disgruntled musicians who looked at the scene around them and did not like what they saw: band after band with no ultimate aesthetic or philosophical ambition, content merely to recycle each the sound of now. So Echotape set out to act as a beacon to others, dissatisfied in all those bands as lacking in substance as they were in style. This intention, and the music it created, struck a chord with legendary Killing Joke bassist and producer, Youth. A very early demo by the band found its way to Youth by shear chance who loved what he heard, and he invited the band to Spain to record with him. In barely a week, the band recorded 17 tracks together with Youth, back to back. Upon returning to the UK, they mixed these tracks to form a debut EP and a full debut album. In less than a year into their career and with a string of low-key but highly praised live shows under their belts, Echotape are ready to take their sound to the public at large. With a free download (“Came Into My Blood”) already up on their website and new EP “Sky Over Quarley Hill”, these releases will lead up to their debut album due for release in September this year . Echotape already have tour dates booked in the UK to support the EP release, and they’ve also been being picked up by BBC Introducing and international radio. As a result of US airplay in particular, Echotape have been invited to play California’s infamous Viper Room in May. Further UK tour dates, including several festival dates, will be dropping in for the rest of the year.